Roland Martin talks about the nationwide removal of the confederate flags in the midst of the South Carolina massacre last week. “I’m not satisfied that a flag might com down. I’m not going to force you to have courage only because nine people were gunned down in a church, Forgive me if I’m not satisfied. I want white privilege to come down,” Martin said. I agree. Just a week ago I attended an AP History session to become AP certified in history. After the second day of attending class I became angered because the instructor insisted that we read certain lines from the “Narrative of the Life of Frederick Douglas” and share in a read-a-loud in front of the entire class. In addition, he added that these lines read should only depict how and to what extent slaves were beaten. Just to give you an idea of the class makeup there were ninety percent of Whites and ten percent Blacks. I would say the majority of Whites in class were from Northwest Arkansas, which if you’re familiar with Arkansas you would know that’s where the KKK headquarter resides. The majority of whites with an exception of a few stood and read their lines with a strong sense of pride and passion as if wish they could repeat those acts today. It is their wills to teach and enstill in their young ones how many of their forefathers took pleasure in their role of being a slave owner. Many of them pray that we teach at this level in our Pre-AP classes, so that their white children might be strong in mind. Today in Scott, Arkansas they continue to encourage school districts around the state to visit the Plantations as if it’s a profound piece of life’s history. I believe it should be destroyed because it’s only there to remind their children of hatred that they have for Black Americans just as O’Reilly show has been designed for the soul purpose of White Americans, so them might continue to feel empowered and superior. I don’t think this is enough! I was a Postal worker for 19 years and was subjected to working with the Confederate battle flag displayed daily. The USPS policy on allowing the Confederate flag to be displayed on Postal property was that it wasn’t a sign of hate.I think something should be done about flying the Confederate battle flag on Federal grounds and that those who endured should be offered a sincere apology from the USPS. Disagree. This is huge. Millions of White Americans join Black Americans hand in hand in this effort. A miracle. I was outside Mother Emanuel last weekend. Blame God for moving. Pastor Pickney is preaching his best sermon ever. This is huge. Let’s the coversation begin about the structural changes needed to improve lives of all Americans. When Black America prospers the rest of America do better too. Changing attitudes will change behavior. Changing negative symbols is a good thing. Roland Martin don’t pull punches in his segments on TJMS. This was really good! Martin, you are right on your comment. White supremacy has running this country century, It time for white people hear and come to the truth. Yes Roland Martin, we should not be satisfied! There is so much more that needs to be said and done! Let’s have conversations about why Blacks are the majority population in prisons but not the majority population of the country, why most special education classes are 90% Black males? We must keep going until these and billions more issues are addressed and brought to light. Is it me or does it seem like Roland doesn’t care much for don lemon ? I believe that Roland is, to say the least, not impressed with Don Lemon. I certainly share that sentiment with Roland. Your commentary on the TJMS today was outstanding ! *** Applauding**** It was thought provoking, unscripted and spot on. Now if TJ would just find a way to get that milquetoast snow queen who comes on the TJMS off the air, we would all be just a little bit better off. Yes!!!!! 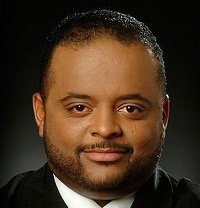 Amen, Mr. Roland Martin. I, too, AM NOT satisfied!!! This is the same state with strict voting right laws on the books. I wonder if they will change that. I bet not. There is so much more wrapped up behind the message in the Confederate flag. White folks wish to hold on to that flag because it represents White Supremacy. inferior public school funding, mass incarceration, etc. Sure, the State reps of Charleston SC can remove that ugly POS from waving in the air at the state capital but can they fix what else is wrong with their southern state? The above issues will still remain long after that flag has been placed in mothballs. Correct. True equality for all means white priviledge out the window and will not be easy released. However, if you want to continue to guise the issue with a symbol with examining why it came to being in the first place then no where near finding a permanent solution to America’s race problem.